According to a report from the United States Golf Association (USGA), the average golf course has 80 acres of irrigated turf, and the average annual total irrigation use in the USA is 2,312,701 acre-feet of water. For an 80-acre course, every ¼ inch of overwatering is an extra 543,000 gallons of water wasted. Evapotranspiration (ET) is the combination of evaporation—water movement from the surface of plants and soil—and transpiration—water movement through the plant. A weather station such as Campbell Scientific’s ET107 accurately measures solar radiation, air temperature, relative humidity, and wind speed. Calculating the water lost through ET from this data gives golf course managers information to better determine the water needs of their turf grass and other vegetation. 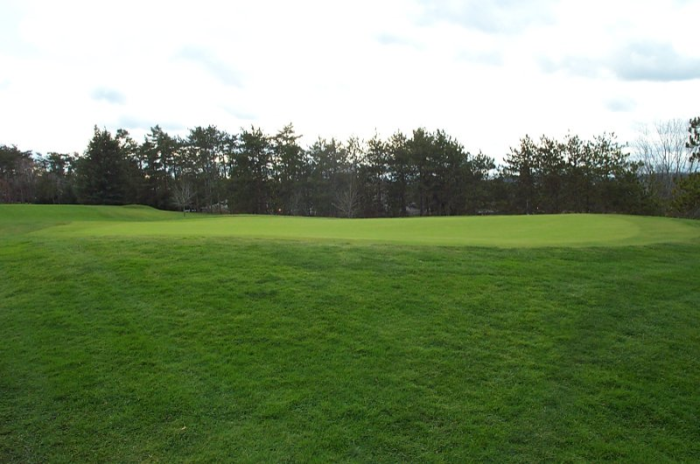 Erick Holm at Hop Meadow Country Club in Simsbury, Connecticut, needed better water management and better playability for the club’s golf course. He was able to accomplish these goals by implementing ET-based irrigation, and refining the irrigation system. For the ET-based irrigation, a Rain Bird WS-PRO version of the ET107-type weather station was used for gathering the weather information for the ET calculations and to provide precipitation data that was used to stop irrigation, if needed, during a rain event. More precise measurement of ET allows better irrigation control, with much water saved, and will result in healthier turf and better playability. After the ET system was implemented at Hop Meadow, Erick found a water savings of 18,000 gallons on just one green over an 80-day period.